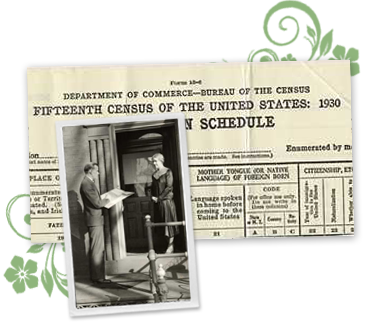 The 1930 U.S. census records preserved valuable information on the American population and how life changed from 1920 to 1930. Learn more about the decade shaped by Prohibition, women's right to vote, the Harlem Renaissance, and the beginning of the Great Depression. The 1930 Census remained relatively consistent as in 1910 and 1920, however there were a few notable changes. The biggest difference was in racial classification. Mulatto was no longer used and for the first and only time, “Mexican” was used as a race. Additional questions also reflected the changing American culture including the impact of technology, specifically the radio, and shift towards accepting divorce and multiple marriages. Year of naturalization was no longer included, only if someone was naturalized. Included the value of home/monthly rent- earlier census questions only asked if someone owned or rented a house. 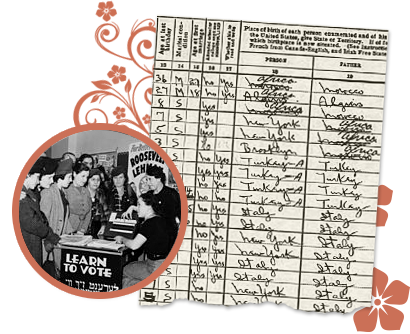 As the 1930 Census was conducted a year after the 1929 Stock Market Crash in 1929, the census included a new Census of Unemployment to understand the impact of the crash. Population: 123,202,624 - 16.2% increase compared to the 1920 Census. US Territories Participating: Alaska, Hawaii, American Samoa, the Canal Zone, Guam, Puerto Rico and the Virgin Islands. Live on a farm at time & a year ago. Women won the right to vote in 1920 & in 1925 Nellie Tayloe Ross became the first female governor. In 1921, the Emergency Quota Act significantly reduced the amount of eastern and southern European immigrants settling in the United States. In 1920, the American Professional Football League was formed, to become known as the NFL in 1922. The first movie with sound, The Jazz Singer, is shown in 1927. In 1924 the first Winter Olympic Games were held and the U.S. won four medals. Discover what life was like for your ancestors living from 1920 to 1930. Were your family members involved in the Harlem Renaissance or the Women’s Suffrage Movement? Use the 1930 U.S. census data and our newspaper archives to find out how this decade shaped your ancestors’ lives.